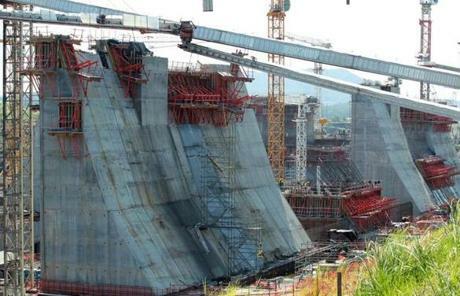 Work continues on the third set of locks during the Panama Canal Expansion project Wednesday. 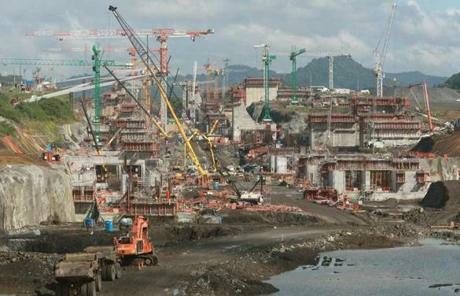 The Panama Canal Authority is overseeing the multi-billion-dollar expansion of the canal to make it wider and deeper so that larger boats can pass through. 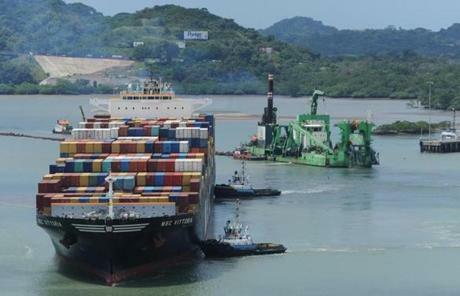 Northeastern and Southern states are scrambling to be the destination point for the giant “post-Panamax” freighters. 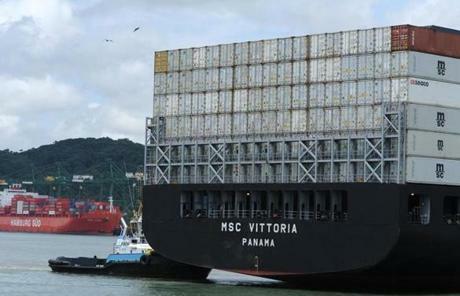 The "post-Panamax" freighters will carry goods from Asia directly to and from the East Coast of the United States. 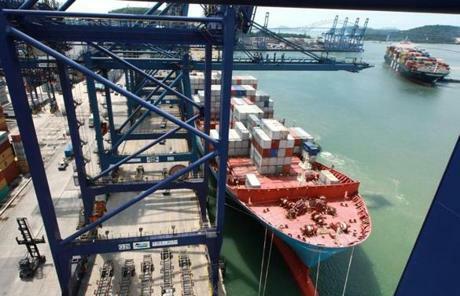 Container ships dock at the Balboa Port in Panama.